Relocating to Ireland? Have Your Vehicle Transported! Contact A1 Overseas International at 1-800-450-5319 for information and a FREE quote for auto transport to Ireland! You can fill out our form! Auto transport is something that’s always handled best by professionals. International transport services are almost necessary in order to oversee such a lengthy, detailed process. The process of shipping a vehicle to another country will take time and require assistance. 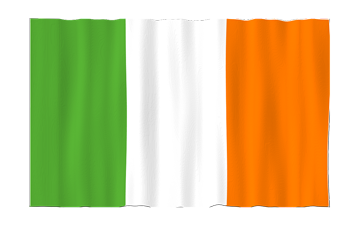 A1 Overseas International can help you with your auto transport to Ireland. They will make sure that your automobile makes it into the country by complying with its restrictions. In order to begin the process of preparing, one must call the Embassy of Ireland to get the most up to date information in regards to their auto import policy in place. The services offered for international auto transport will vary depending on the company you choose to go through. However, there are certain shipping services that are typically offered by most auto transport companies. Of course, you will have other options available to you as well. The above are usually offered by most professional international auto transport companies. In fact, insurance coverage is a requirement for transport companies to carry. This assures the safety of the vehicles in their care. As for a method of transport, your options are usually either RO/RO shipping or enclosed shipping services. RO/RO is the most popular due to its cheaper price and efficiency. However, anyone who might need to ship other belongings to the country with them is more likely to opt for enclosed transport. This allows the vehicle and remaining container space to be filled with possessions as long as they are approved by Customs. Fill out our form or call 1-800-450-5319 for a FREE quote and more information!